However, things came tumbling down for Patanjali as quickly as they escalated. The app was pulled down by the company due to glaring faults in the security of the messaging plattform. Ramdev's Patanjali saw an opportunity when popular applications like Facebook and WhatsApp started struggling with privacy issues. 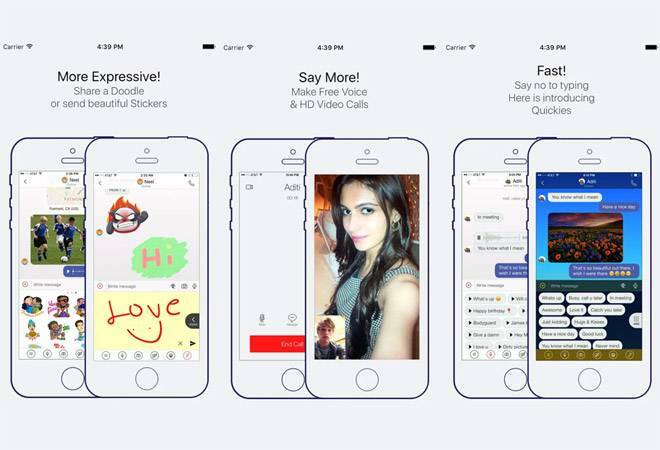 The Indian company launched their own "swadeshi messaging platform" and named it Kimbho. The platform was pitted against WhatsApp which has more than 2 billion active users across the globe. The app downloads on Play Store took off almost immediately and reached the mark of 1,50,000 within a matter of hours. After the entire episode Patanjali came with a rather simple explaination saying it was more of a test run for the application. The company's spokesperson SK Tijarwala tweeted it was a one day trial and that the response was overwhelming. They claim that technical work is in progress and they will come back soon. Popular French security researcher, Elliot Anderson (name based on fictional character), claimed that the app was a security disaster as he was able to read and access messages of all the users. The website seems to be down as well. The notification on the website reads, "We are facing extremely high traffic on Kimbho. We are in process of upgrading our servers and will be back shortly. Sorry for the inconvenience. Please stay tuned." The security flaws are not the only probable reason behind the app being taken down. The screenshots used in the application's homepage had a Pakistani actress Mawra Hocane which doesn't sit well with Patanjali "swadeshi" scheme. Kimbho is also being claimed to be copy application of Bolo, another chatting application. According to Anderson, the app is still sending requests to bolomessenger.com. Few users put up screenshots of the OTP message sent by the application which still carried a "Bolo" tag. The application was launched one day after Patanjali announced partnership with BSNL to launch a new SIM card for Patanjali employees. However, the company will make it available to general users once it is tested on a smaller group of people.